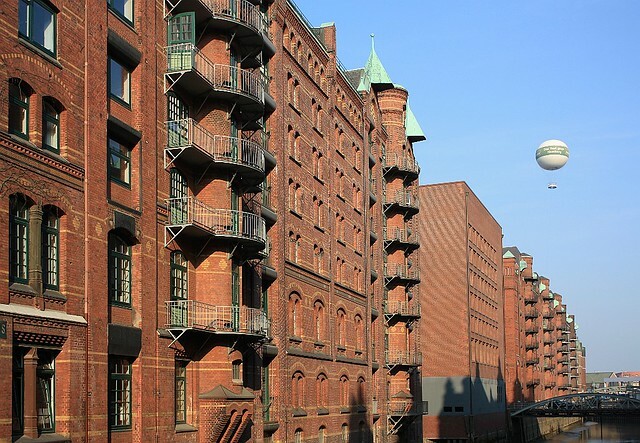 On 5 July 2015, the UNESCO World Heritage Committee awarded new UNESCO World Heritage Site status to two historical districts in the north German port city of Hamburg: Speicherstadt (Warehouse District) and the Kontorhausviertel (Office District). The decision to make the “Speicherstadt” and the adjacent “Kontorhausviertel” World Heritage Sites came at a meeting of the United Nations organization in the German city of Bonn. The UNESCO World Heritage Committee justified its choice by calling the sites a unique symbol of the rapid international growth of trade in the late 19th and early 20th century. The “Speicherstadt,” constructed between 1885 and 1927, is considered to be the largest uniform collection of warehouses in the world. The “Kontorhausviertel” contains office buildings from the early 20th century, and is regarded as the first office-only district in Europe. 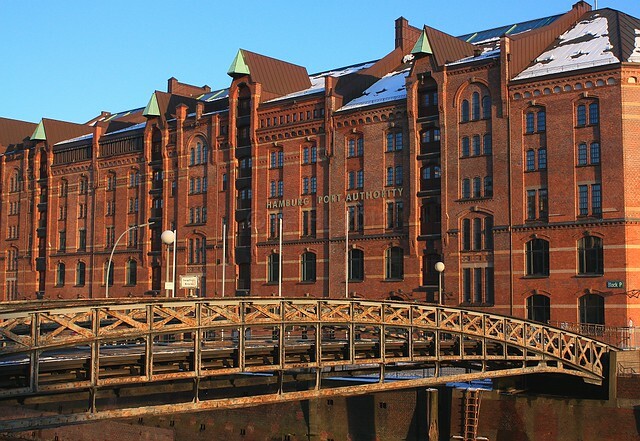 Speicherstadt and Kontorhaus District with Chilehaus (Germany) — Speicherstadt and the adjacent Kontorhaus district are two densely built urban areas in the centre of the port city of Hamburg. Speicherstadt, originally developed on a group of narrow islands in the Elbe River between 1885 and 1927, was partly rebuilt from 1949 to 1967. It is one of the largest coherent historic ensembles of port warehouses in the world (300,000 m2). It includes 15 very large warehouse blocks as well as six ancillary buildings and a connecting network of short canals. Adjacent to the modernist Chilehaus office building, the Kontorhaus district is an area of over five hectares featuring six very large office complexes built from the 1920s to the 1940s to house port-related businesses. The complex exemplifies the effects of the rapid growth in international trade in the late 19th and early 20th centuries. I made the above photos on separate visits to Hamburg in 2010, 2011, and 2015. This post appears on Fotoeins Fotografie at fotoeins.com as http://wp.me/p1BIdT-6YD. Though we were last week in Hamburg we skipped this part as I have been there with my wife just a couple of years ago and my mother-in-law wasnt realy interested in it (she prefers the city center with the shopping possibilities). Hi, Timo. I’m also familiar with the grand shopping avenues along the Mö and around Jungfernstieg. Me, I’m big on books, particularly photography books, and there’s a Taschen Books store near Neuer Wall. 🙂 The Speicherstadt and the Kontorhausviertel are a lot of fun to walk through, for those who enjoy history and architecture; really great photo opportunities, but you do have to be careful about the light because there tend to be lots of shadows. For the kids, there’s the Miniature Wonderland (Speicherstadt), which I still have not yet visited; I have to see their model sets at some point!